Vanessa and Berto and the Green Diva team renovated my home from top to bottom... from a brand new kitchen, to a dramatic master suite, with hard wood floors and everything in between. Vanessa’s eye for color, style and design--along with Berto’s expert craftsmanship--helped turned my 1970s contemporary styled home into a showplace that I absolutely love. 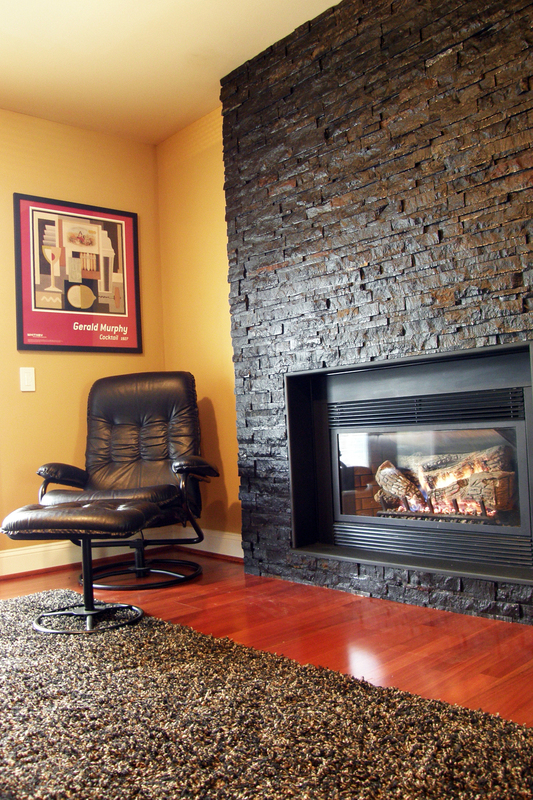 Vanessa’s ideas along with Berto’s and Benjamin’s carpentry skills turned my outdated fireplace into the contemporary highlight of my house. I am thrilled with the craftsmanship and design. It is now my favorite room in the house. I highly recommend Green Diva Designs for any home renovation project, big or small. I highly recommend Green Diva for any project you may be considering, but especially for turning old bathrooms into showpieces. 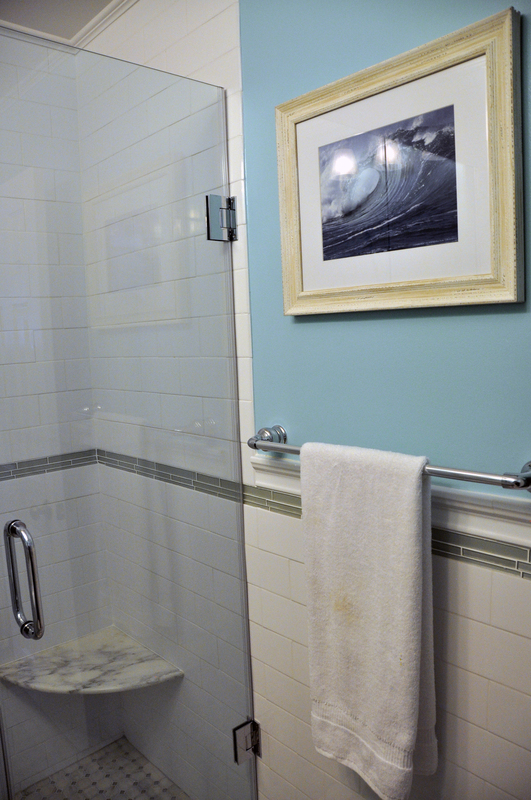 I inherited three ancient, shoddy bathrooms when I moved into my 70s-era townhouse. Vanessa and her team did a superb job on them. The craftsmanship is excellent--from tile to painting to woodwork. Vanessa, Berto, and Benjamin were patient and easy to work with despite our energetic dog and dynamic schedules. And when a few wrinkles developed, as they do in any project, we were able to smooth them out easily. Most important, the project was done on time and within my budget. And it was fun to pay my bill using Vanessa's Square attached to her iPhone! Thank you Vanessa, Berto, and Benjamin for turning my townhouse into something special. The Green Diva Designs team focuses on details while maintaining a high degree of quality standards. Getting the job done right with "right" as defined by the client, rather than quick and cheap could be their business tag line. I wanted to let you know that the shed, addition and porch that your company designed and built exceeded my expectations. The addition turned out even better than I imagined. We spend so much time in the new kitchen and great room! The porch just looks amazing and is exactly what I wanted. The shed went up so fast and looks great too. Van, thanks for the advice along the way and keeping the project on schedule and sweating all the details. Your staff was professional and reliable and the workmanship is fantastic that's why I keep calling you back to do more jobs! We are about to start the fourth project here because I trust the work you do. Please pass on my thanks to Berto and Benjamin. I look forward to working with you again and would recommend your company to anyone. Green Diva's crew was knowledgeable in their various areas of expertise, neat and courteous, and respectful of my home and property. We have a busy life with 2 kids and pets, and Green Diva was respectful of my family's busy schedule especially during our kitchen renovation, since the kitchen is always the central focus of our house. 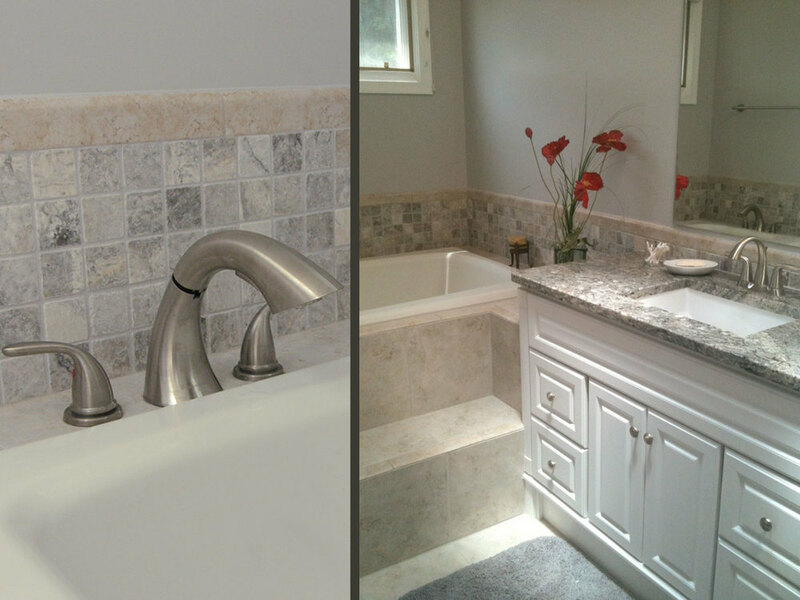 The cabinetry, moulding, lighting, and tiles turned out beautifully and within our budget. They were also able to expertly remove our existing granite counter tops and re-install them onto new cabinetry--a big savings to us! I also enjoyed working with a female contractor. Not only was my husband happy with Vanessa's knowledge of the nuts and bolts of what needed to be done in terms of design and work, she spent time listening to what I wanted regarding the aesthetics and the "feel and flow" I wanted in our kitchen, and had a vast knowledge of recyclable and sustainable materials. I had no idea eco-friendly paint existed, much less look so rich and beautiful. Because the kitchen turned out so spectacularly I also had Green Diva Designs remodel our master bathroom, installing floor to ceiling stone in the shower, new cabinets, hardware, flooring, and paint. 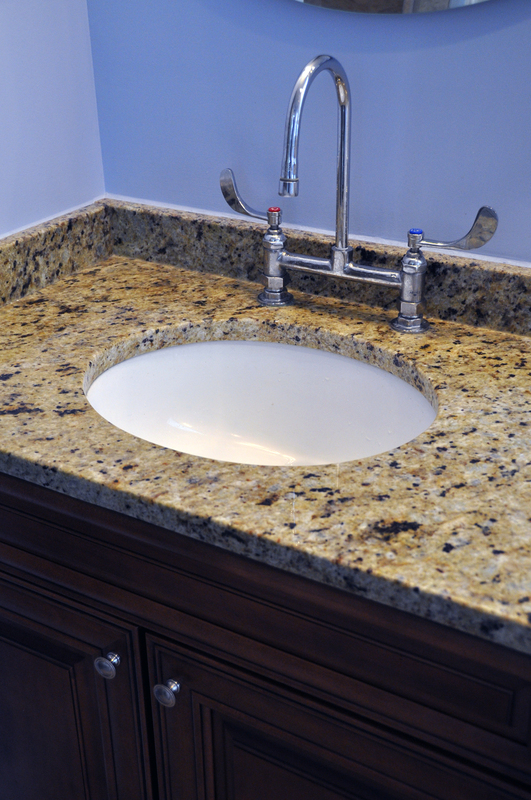 Vanessa's suggestion of a sink inset into a gorgeous remnant piece of granite resulted in something both stunning and affordable. 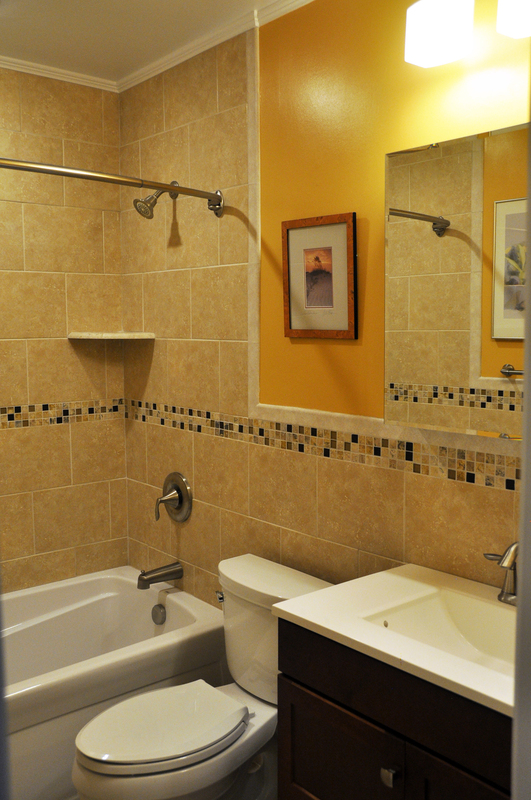 We are so pleased with both rooms, and will be sure to use Green Diva for our next home remodeling project! My kitchen was older than me (circa 1956) and I had a very limited budget. 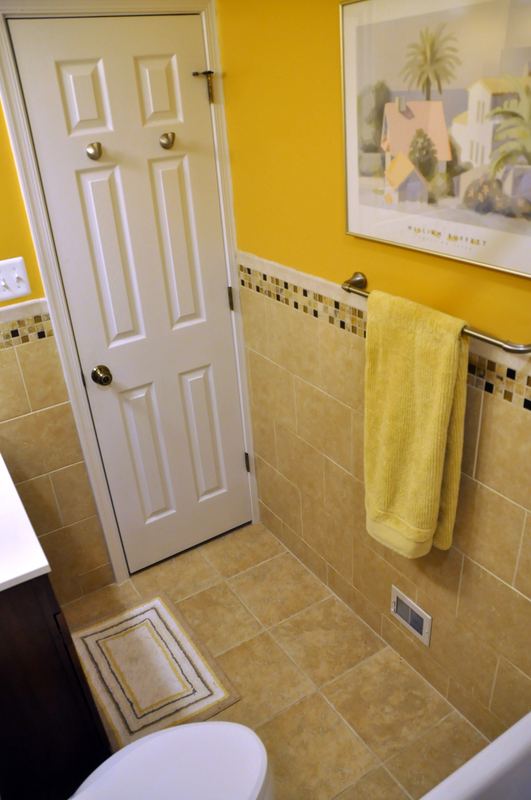 Green Diva Designs was able to re-engineer the work and storage spaces. We incorporated IceStone, a recycled material for the counter tops, new cabinetry, and more efficient lighting. We re-purposed the existing kitchen cabinets by installing them in the laundry room. The process presented numerous challenges that the team was able to surmount and the results make me happy every day. 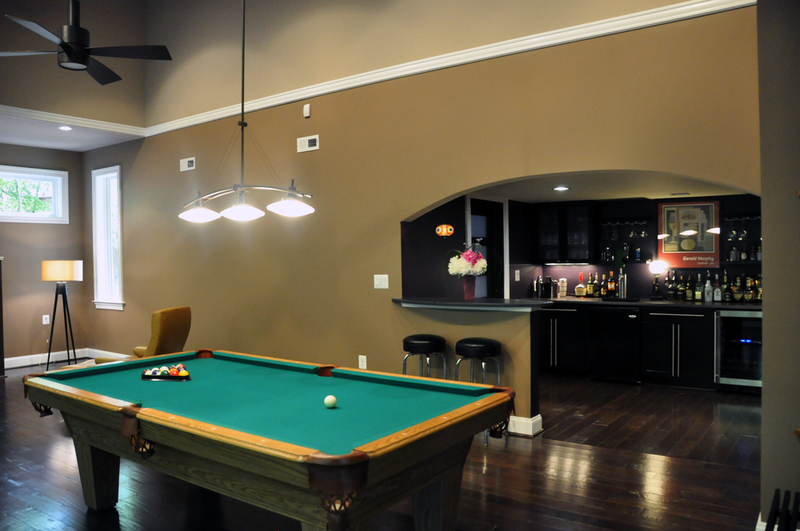 The project came in under budget, which allowed me to address lighting issues in the living room. Vanessa remained engaged and hands-on throughout the process. Home construction is never easy, but the results were so very worth it!